What Can You Find Out With DK's New Reference Site "DK FindOut"? I read about DK FindOut when I was looking through the new Maker issue from School Library Journal. They had it featured in the Reference Reviews. You can read the review online here. 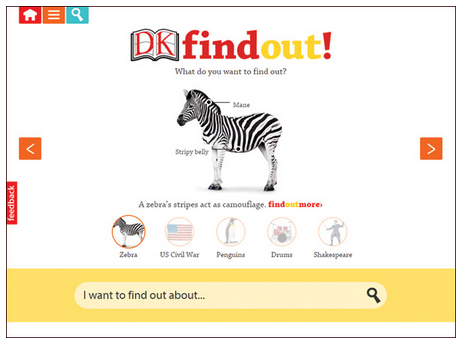 I am excited about this website and agree that there is a lot of promise for DK FindOut! I gave it a little test run today.....You should really do the same and share it with your students too. It is very easy to type anything into the search bar. 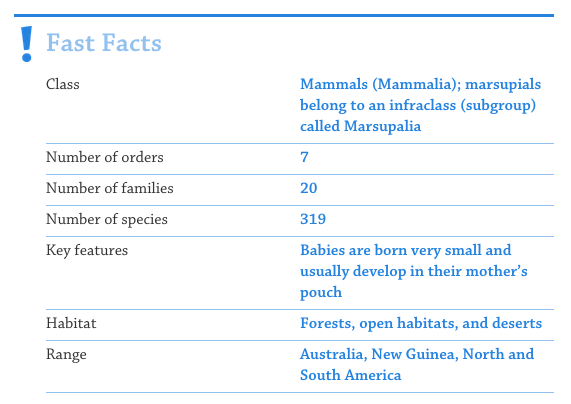 I typed in Australia to see what I could learn about before we land there in a few hours. I read all about Marsupials in an interesting article and learned a lot from the beautiful photographs that DK is known for. 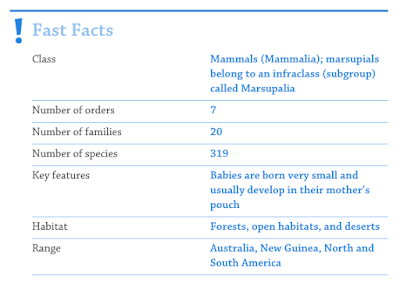 At the bottom of the page, there was a box filled with Fast Facts. I found several of these boxes with special information on the website. There are also little dots on the photographs throughout the website that when clicked on will give you text boxes with more specific information and details. 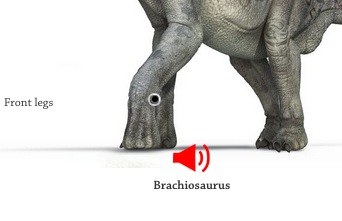 There are places that allows one to listen to information as well by clicking on the red speaker, like shown above. 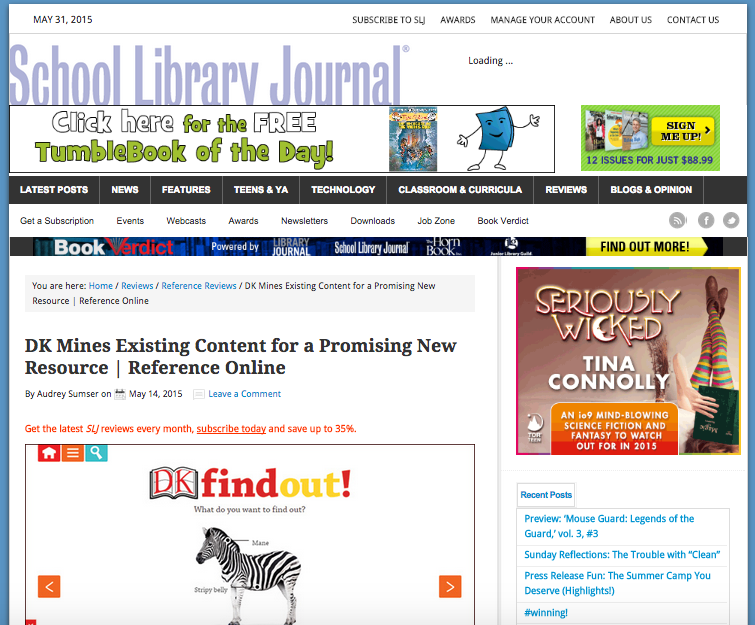 As I read the review from School Library Journal, I was excited to learn that DK's plans are to make the website more personalized in the future by adding My Stuff where students can store things that are of interest to them. I had a great time looking around DK Find Out.....I just know our young learners will love this one too. I am excited to announce how a very special project that is dear to my heart and that of children all over the world....especially in Van Meter, Iowa....is growing. My dear friends at Be A Noble Kid and In This Together Media have partnered to continue the Banding Together Project that my amazing 3rd graders at Van Meter Elementary created last year. 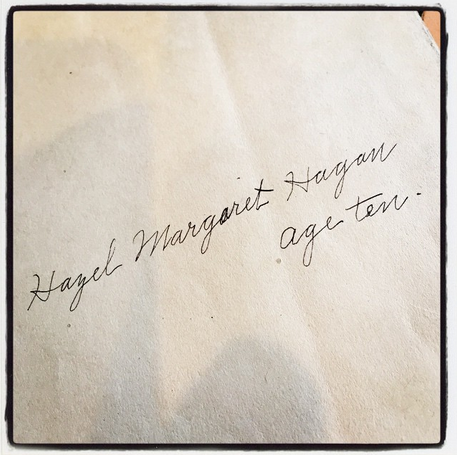 his classmates, Hagan and I decided to make it into a project that would tie together research, writing, reading, interviewing, connecting, creating, and much more. 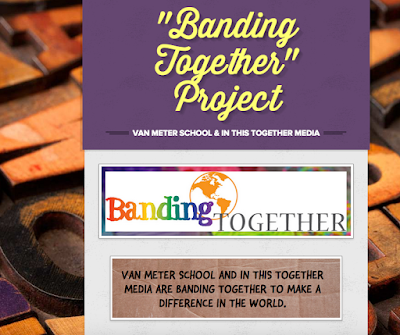 In fact, when In This Together Media saw what we were doing with our project, they asked if they could partner with us turning it into a global project called Banding Together. 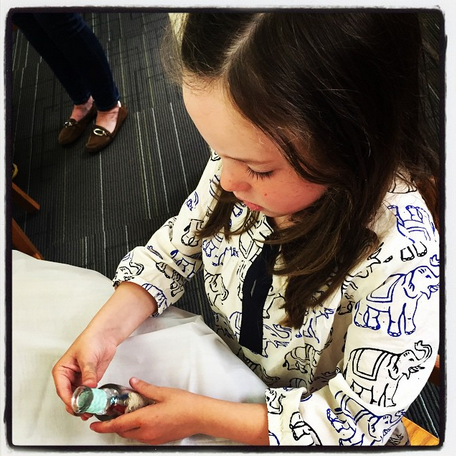 With this connection, we were happy to extend our hearts and the bracelets we were creating to an orphanage in India. 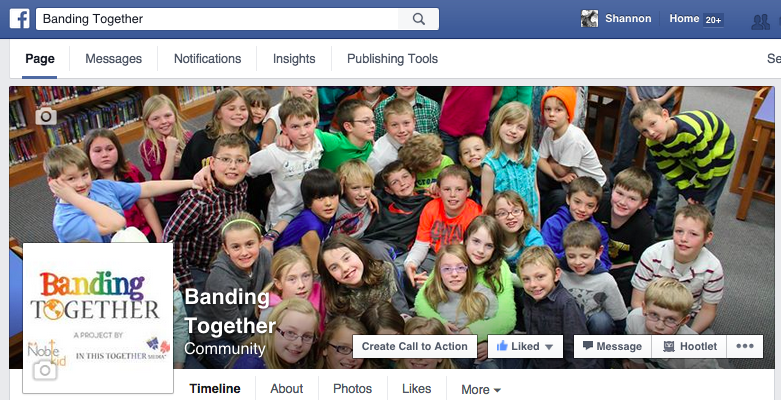 You can read all about the Banding Together Project on this Smore that we created. There are blog posts in this Smore that explains the process throughout the project. As we shared the excitement of the Banding Together Project on Twitter, Facebook, Instagram and my blog, more and more schools and children around the world starting hearing about how project and wanted to be involved too. 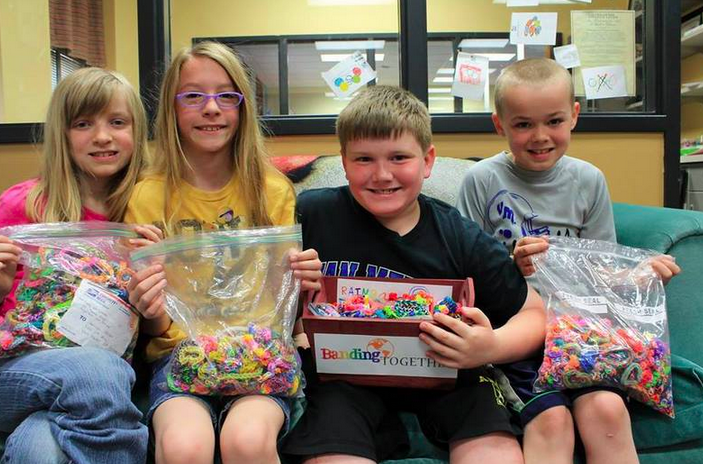 So they started creating bracelets within their school communities to send to our kids in Van Meter. We received thousands of bracelets, lots of letters, and so much joy in knowing that we were making a difference in the lives of others. 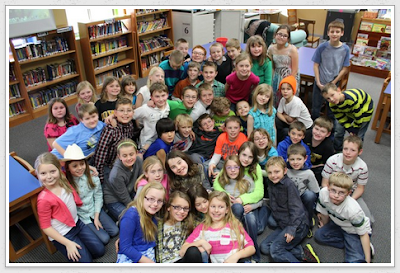 Our 3rd graders also became pen pals with the children in India. They wrote letters to every one of the students there....and the children in India wrote back to ours. It was such a special connection that made all of them realized that they really are not that different.... they just live in different places. 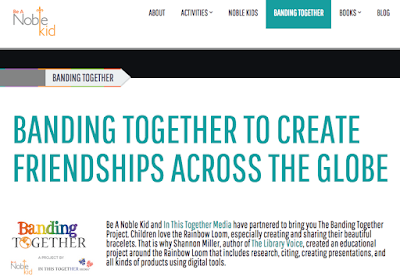 As the year went on, we realized that we could make an even bigger impact if we partnered with someone else to make sure the Banding Together Project continued to impact children around the globe. That is when our friends at Be A Noble Kid stepped in. 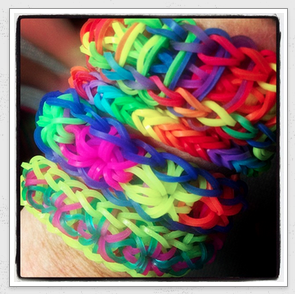 They believe in the love and happiness that Rainbow Loom bracelets, letters, and friendship can bring. 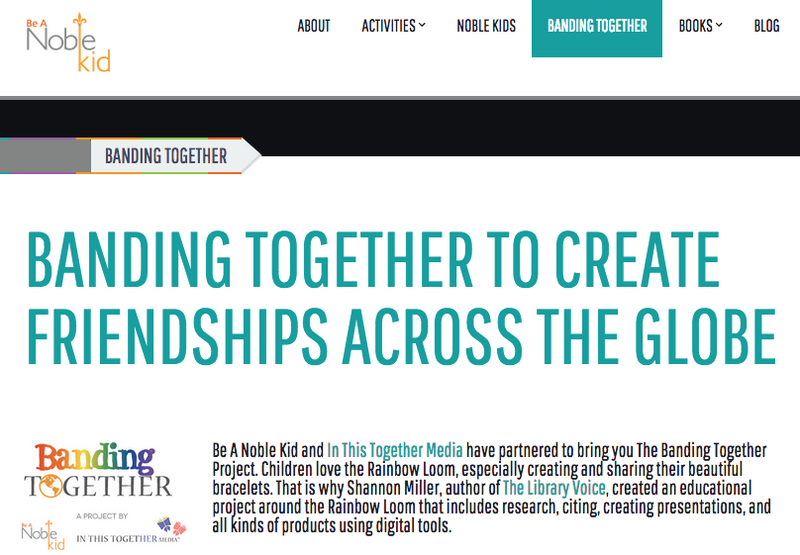 On the Be A Noble Kid website, they have created a page just for Banding Together. It gives the background of the project and lots of information. They have also taken the research project I did with the 3rd graders and created lessons to download for 2nd through 5th graders. 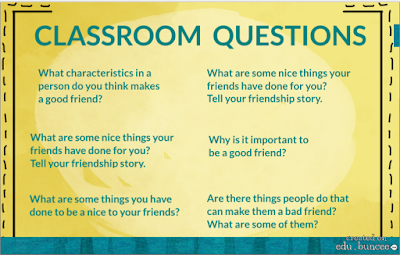 So ask yourself this...How can I get my students involved with Banding Together? and help all of us make a difference in the world and in the lives of children everywhere. We can all Band Together and do this. Thank you to our friends at In This Together Media and Be A Noble Kid for helping us make a difference and for continuing the project we created in our little library one day. It just shows how we can all make a difference in the world with an idea, creativity, love, and each other. 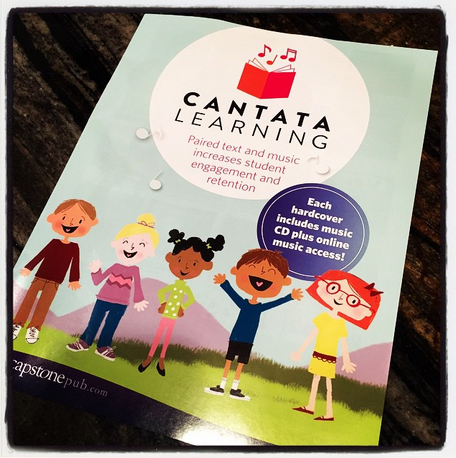 A Wonderful Visit With Cantata Learning To The Kindergarteners At Concord Elementary....Just Look At The eBook They Created Too! 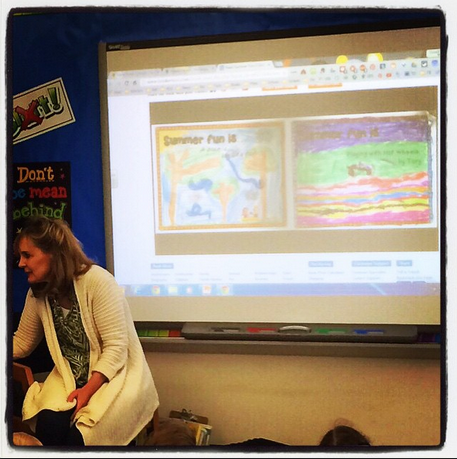 Last week I had such a fun time visiting the kindergarteners in Concord Elementary in Eagon, Minnesota. Their wonderful teacher librarian, Laurie Holland, invited my friends from Cantata Learning and myself to visit their beautiful library.....and the sweet little ones from Mr. Davidson's kindergarten class. We started the day by creating tiny noise makers together. This was a fun way for them to show their individuality and to have something to make music with when we sang and danced to the songs and books from Cantata Learning. 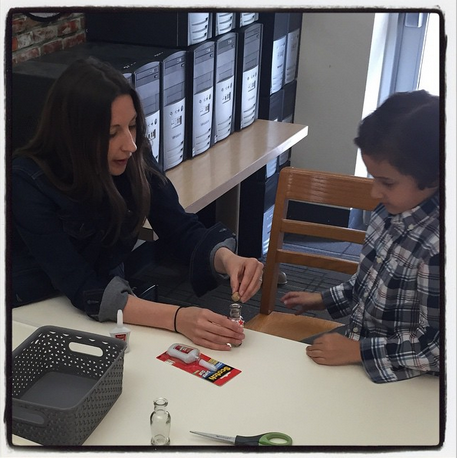 It is also the perfect activity to show that by working together you can create something awesome and useful. 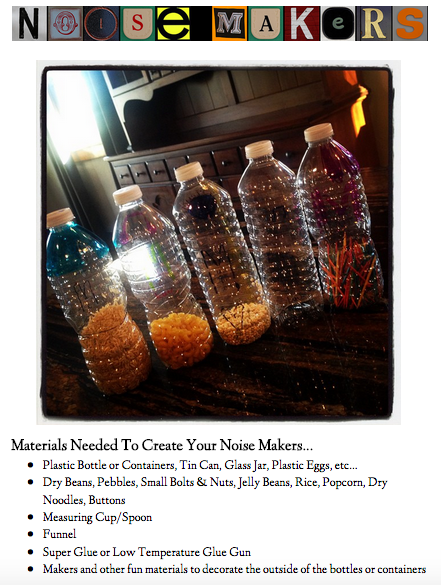 You can see how we created the Noise Makers by going to this Google Document we have created with instructions and pictures. This would be helpful to print off and laminate for your students to use over and over again as they create musical instruments too. 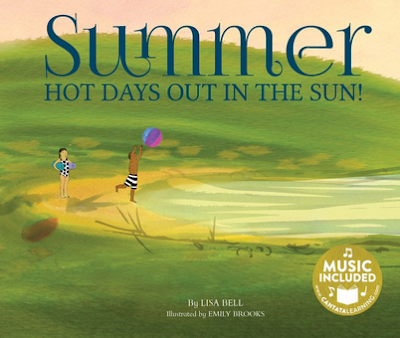 Laurie had shared the Cantata Learning book Summer...Hot Days in the Sun by Lisa Bell the week before we came to visit. After listening, reading, and singing the book, the kindergarteners from Mr. Davidson's classroom drew illustrations for a book they were going to create called Summer Fun. Laurie took the illustrations and uploaded them into a digital tool called Bookemon.com, which lets you create easily create digital eBooks. After the eBook was complete, she created this YouTube video above my using Screencast-O-Matic to capture the pages as she moved through the book. 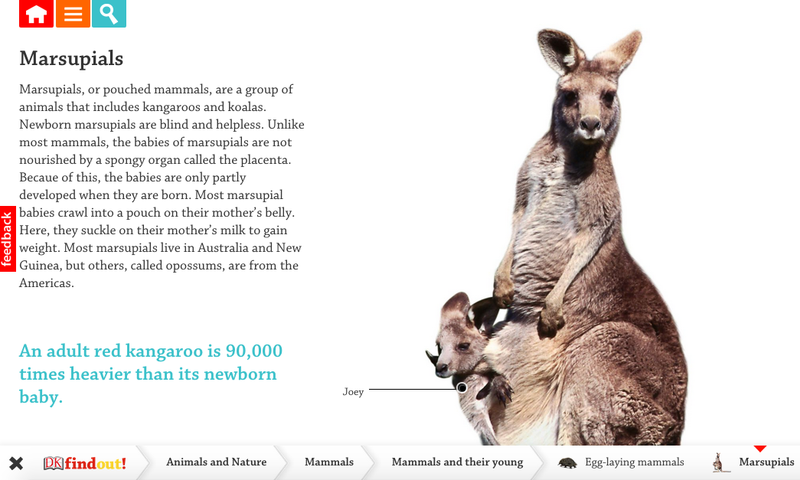 While we were there, the kids showed off their cool new eBook. We love what they created and they were very excited to share their eBook. It was fun to shake our noise makers as we all sang the song together. 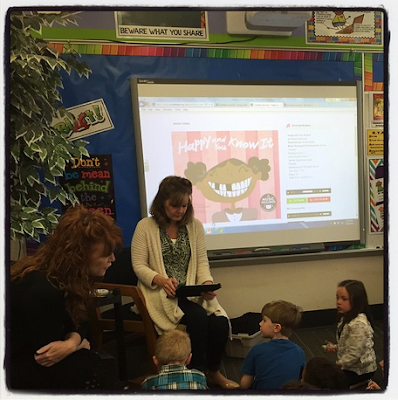 As you can see, Bookemon looks awesome on the big screen and makes it so much fun for the little ones to see what they have created as the read and sing along. 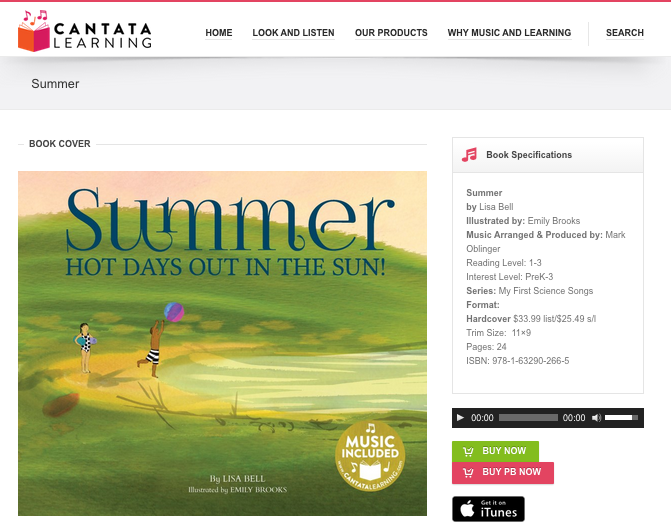 There are so many different ways to bring music, fun, movement, and joy into the library and classroom with all of the books from Cantata Learning. This is just one more idea for all of us to try in our schools and homes too. Thank you to everyone at Concord Elementary for letting us share, create, dance, and sing with you...especially Mr. Davidson and his kindergarteners....and of course Mrs. Holland for being special to all of us. Bringing Us Authors, Songwriters, Art, and Their Stories Through The buncee "Author's Corner"
Our friends at buncee announced something really special this week.....The new Author's Corner on edu.buncee.com! 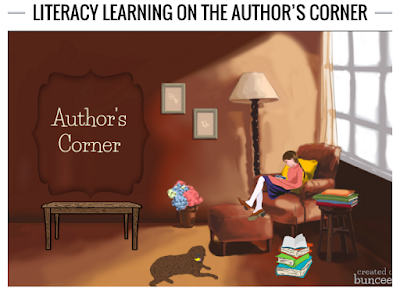 The Author's Corner will feature a collection of buncees from authors, songwriters, and their works. This will be a wonderful way to get our young people excited about reading and writing by engaging them in literacy and fun learning experiences. Within each buncee, the authors will share the story of how they became a writer and what inspired them to do so. They may also share one of their stories within a buncee. This will be such a great way to really get our students excited about creating digital stories too. The first two buncees featured are from Michael Paraskevas and Brady Rymer. You can see their buncees by clicking on their names. 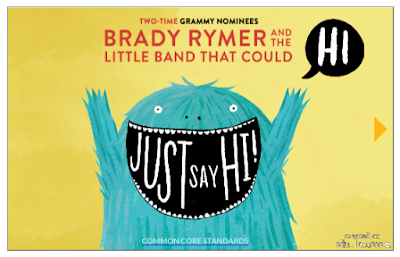 Just look at all that the buncee from Brady Rymer and the Little Band That Could contains! 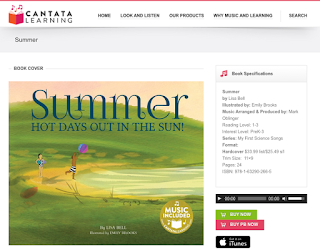 Kids will love this and become super excited as they work through the pages of the buncee individually or with their class. 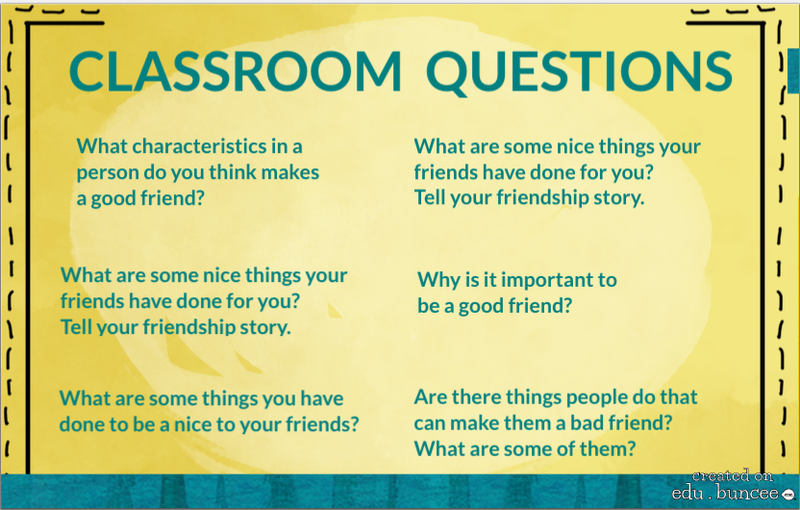 I especially love the Classroom Questions towards the back of the buncee. . 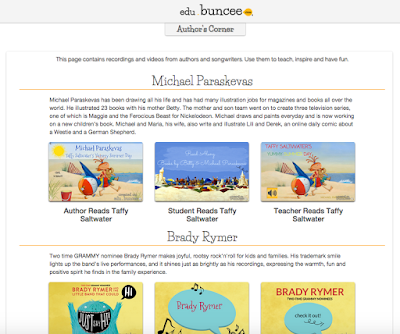 This will be an easy way to take the learning one step further and truly engage students in the learning throughout a buncee. The sky is the limit with what can be included, played, shared, learned, and read. 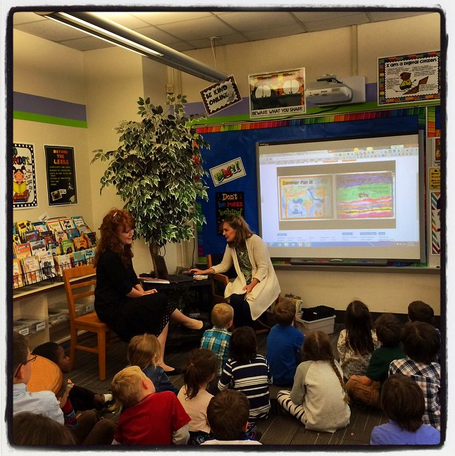 Thank you buncee for bringing us so much fun and fantastic stories with your new Author's Corner. We can't wait to see who you will bring to us next. Elissa and I Have a New BAM Radio Podcast Series.....Beyond Books, Transforming Teaching & Learning! My wonderful friend Elissa Malespina and I have some very exciting news! Today our new podcast series from BAM!Radio became public. It is called Beyond Books, Transforming Teaching & Learning. 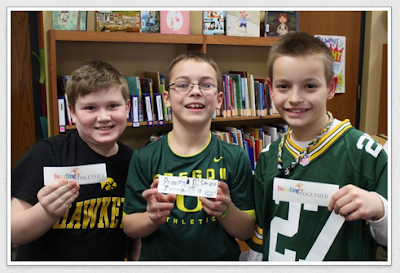 We are looking forward to highlighting all of the amazing things happening within libraries, teaching, and learning. 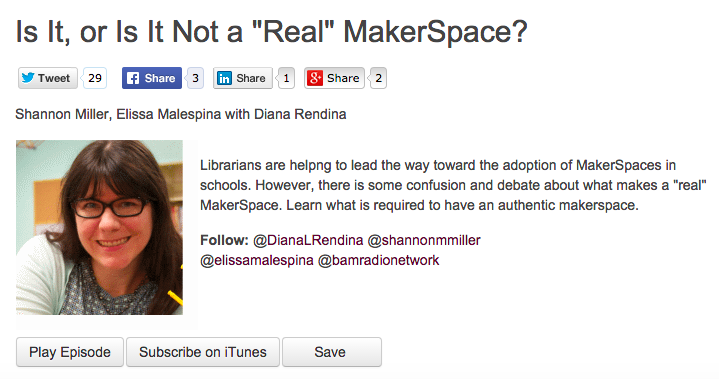 To kick off our podcast show, we invited our friend Diana Rendina to share the Makerspace movement with all of us. We have also invited Joyce Valenza to speak about the hot trends in teacher librarianship and our friends from Buncee to discuss the power of using digital tools and resources with our young people. I just love how you can subscribe to Beyond Books within iTunes. To subscribe, just click here to follow. 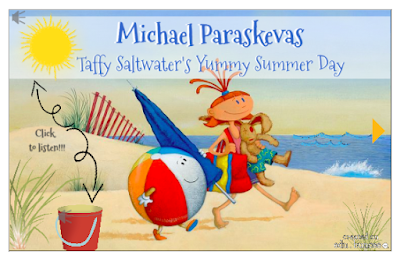 In the weeks and months to follow Elissa and I will be inviting several different educators and librarians to the show. We hope you subscribe to the podcast series....we don't want you to miss any of our special guests and the topics we will be discussing. 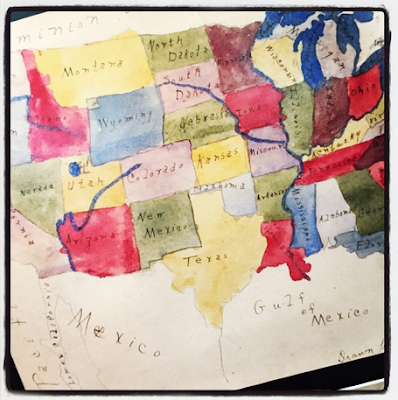 One of my favorite things is a watercolor painting of the United States that my Grandma, Hazel Hagan, drew and painted when she was 10 years old in 1921. When my Grandma was still alive, she had all of us pick out special things that we wanted to keep. As we were going through a box of things in her guest bedroom, we came across papers all rolled up with yarn tied around them. 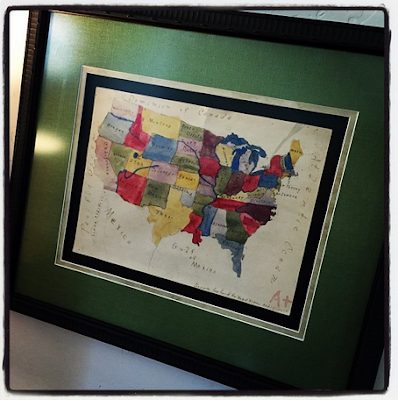 I unrolled them to find these beautiful paintings she had created as a young girl. There were several of the United States and the other countries around the world. It was fun finding these treasures. To think that Grandma created these when she was only 10 years old was just amazing. My family and I picked the ones that we wanted. Brianna and I framed two of them, so we both could think about Grandma when we saw them hanging in our homes. 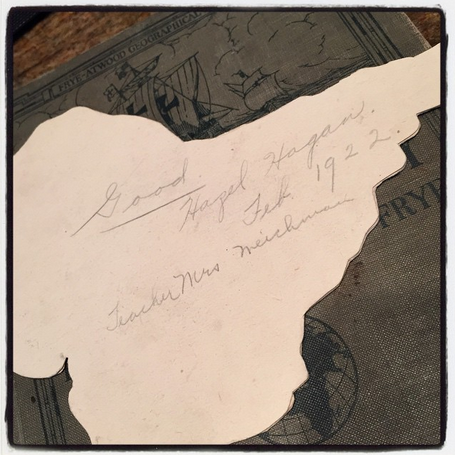 Yesterday when we were going through some boxes of books in the garage, I found several old textbooks of Grandma's. One was called New Geography and had Hazel written on the front cover in pencil and Hazel Hagan, age 10 on the first page. As I sat out on the driveway looking through the book, I thought about how education and books have changed. 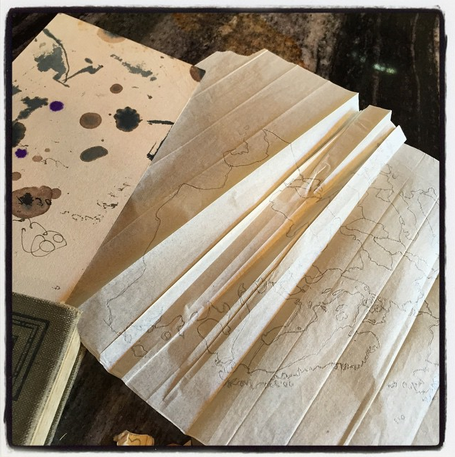 The pages were filled with lots of information with black and white maps sprinkled throughout the book. Within the pages I saw something sticking out that was purple and green. 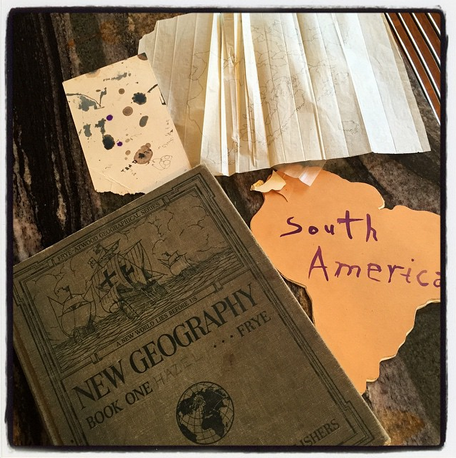 I opened it up further to find a crumbled up piece of tracing paper with the world drawn on it, an old postcard used as a watercolor blotter, and a little hand made book about South America. I couldn't believe the treasures that I just found. This was the book that Grandma had used to create all of the cherished paintings my family have hanging on our walls. I could picture her as a little girl drawing the maps, dabbing her paint brush on the old postcard, and tracing everything so carefully. And on this sunny day in the driveway, I could feel my Grandma smiling down on Hagan and I as we held the assignments she created within a textbook she obviously loved. 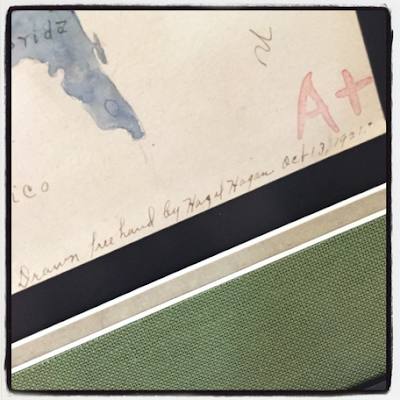 It made me think that she must have loved working on these little country books so much that she took the assignment one step further by creating the larger maps filled with color and detail. As a teacher, one of my favorite things about working with young people is when they take learning opportunities in the direction that their passions and interests lead them. 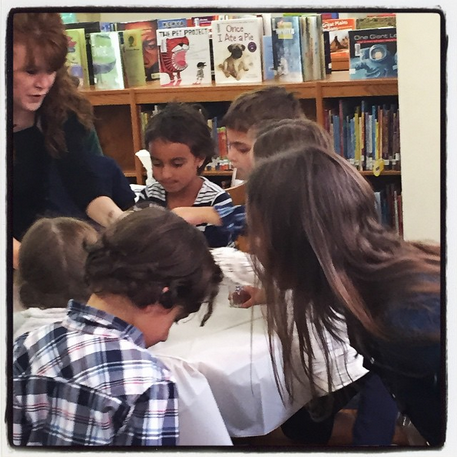 I love it when we see this kind of learning take place within our schools and homes. Just like my Grandma did in 1921.....and just like all of us need to embrace with our own children and students too. Thank you Grandma for continuing to share your wisdom, love, and passions with us. We miss you always. 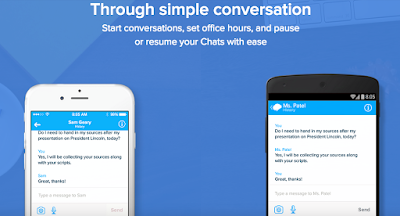 Remind Has Something New For All Of Us.....It Is Called Remind Chat! Remind is one of my favorite digital tools to use with students, teachers, parents, and others within our school communities and networks. It is easy to send updates, share news, and promote special events.....To name just a few of the awesome ways to use Remind. I even have a Remind Class called Shannon's Library and Tech Voice that you can all join to get fun library, technology and educational updates and news from me. You can sign up by following the instructions above. You can also read more about this on this post from my blog. With Remind Chat it takes all of the great things about Remind one step further by bringing us a way to have safe, secure and simple conversations with our students, teachers, parents and others. It is important to be able to reach our students on the devices that they love and to be able to share important information with parents quickly and easily. 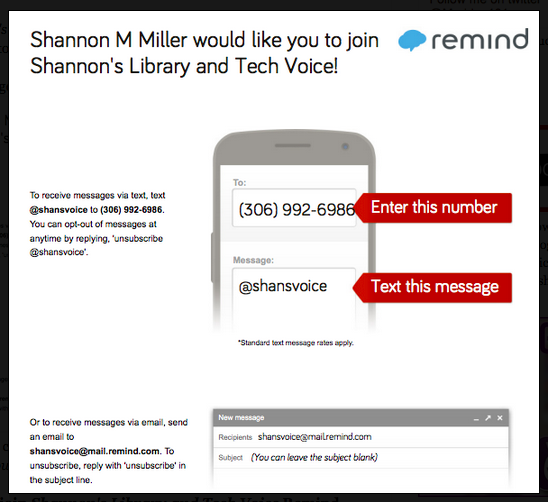 To sign up for Remind Chat, you can go to this link to sign into your Remind account or sign up for free. Over on the left hand side of Remind you will see Chat right under Home. 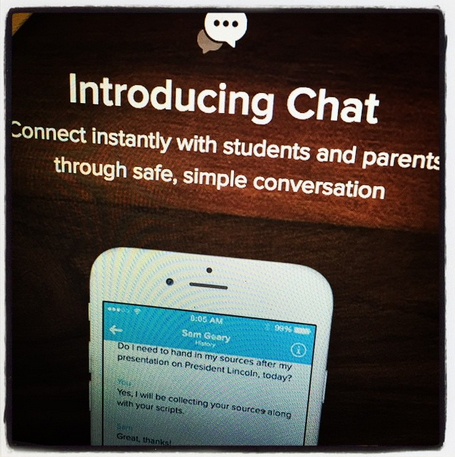 Click on Chat and it will allow you to send a Chat to individual students, parents, or whoever you want. 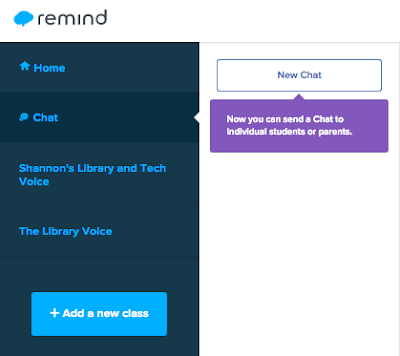 You can also decide if students and parents will be able to initiate a Chat with you by going into Settings and choosing the classes you want to enable this feature with. It is very easy to start a New Chat by clicking on the button at the top of the left hand side. You can choose a Class or individuals within these classes. Remind Chat is easy to use on a computer or device.....And as always, super easy to use all the time. With summer here and school out for the next three months, think about how you can use Remind and Remind Chat to stay in touch with your students and parents.....and share fun information with your teachers and colleagues throughout the summer too.